Today we want to share with you the second part of the basic guide for The Walking Dead: Road to Survival. If you’re a beginner or an advanced player, this guide should help you to succeed in the game. In this guide we explain the basics of your team, ,the combat, the road map, the missions, the raids, and the woodbury . Avoid leveling up characters 2-stars and below. They have a pretty low power ceiling so spending precious food and characters on them would be a bad investment in the long run. Upgrade using characters with a similar persona to the one you’re leveling up. This gives you a slight chance to rank up a character’s Adrenaline Rush, letting him/her use it more often. For example, Michonne who has a Hunter persona should be upgraded using 1-2 star characters with the Hunter persona as well to give her a 40% chance to get a rank 2 Adrenaline Rush after the upgrade. Try to avoid using characters of a different persona or in few numbers to level up your main characters. Use the autofill function. Since you’re playing the lower levels for now, the game won’t require you to micromanage the specific aspects of your team yet. Just pop it in every once in a while. Always go for the kill shot. Only spread your damage if an enemy is too healthy to be killed and a trait weakness in another enemy unit is available. Otherwise, always keep in mind that in the world of walkers, there is absolute strength in numbers. Do not melee attack walkers behind barricades. Walkers go down regardless of damage as long as you can crit. Build your team around this fact. If there are only a few distant walkers left, let characters fill up their adrenaline rushes by defending (hold+swipe on character portraits) characters who don’t need it. Also, blow all your adrenaline rushes at the end of each mission to progress towards the Adrenaline Rush achievement. Withhold Adrenaline Rushes strategically. Do not heal when there is nothing to heal. Do not buff if an enemy is one hit away from (un)dead. Prioritize laying the finishing touches to a wave of enemies with characters who have yet to reach their adrenaline cap. Walkers go down in The Walking Dead: Road to Survival regardless of damage as long as you can crit. Build your team around this fact. Play to complete. Try your best to complete a road map, rewards increase accordingly and new characters can be obtained basically in exchange for mission energy. Abuse the high rewards. 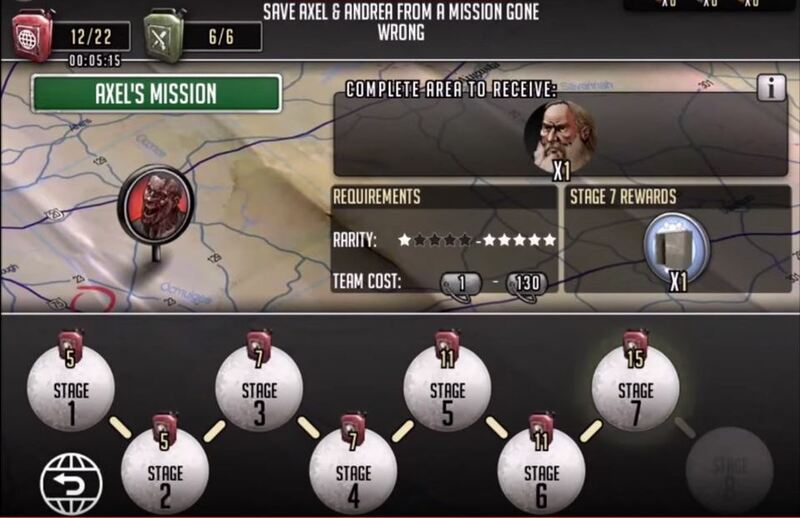 If ever you find yourself hitting a wall in the Campaign Missions, an excellent use of your energy would be to replay the final level of a resource Road Map mission. You can grind tons of food, wood, and experience with the Road Map missions even if you have already completed them. Use autoplay IF and only IF you are sure your team can finish the stage. Adrenaline Rushes can mess up your team’s strategy since the AI will also trigger them as soon as they are available, regardless of optimal damage, barricades, or capped health. The AI also frequently spreads out damage and does not focus priority targets (e.g. walkers within kissing distance). Do not linger on a difficult stage. Wasting energy and items is not the way to go. After a loss, take a step back and do as the game tells you: upgrade your characters. Replay previous missions for resources and materials, then come back to the level and wreck everything. Always have HP Replenish and Bloody Shirt items on hand. Use Bloody Shirts only if a walker is already beside your target ally. This will buy one more turn for you to take it down. 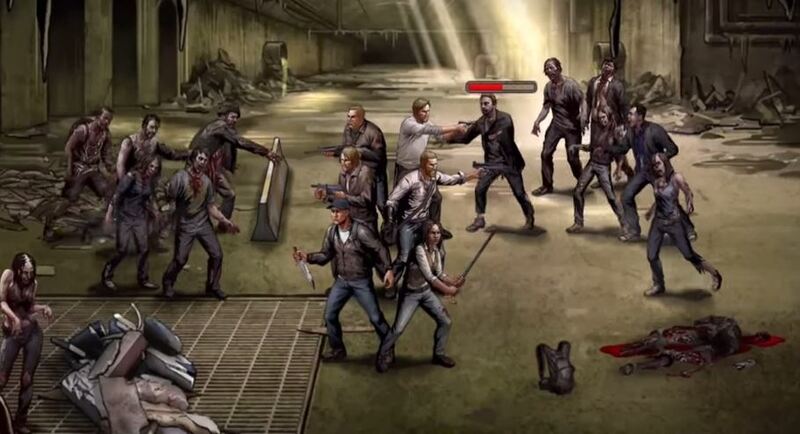 Do not linger on a difficult stage in The Walking Dead: Road to Survival. Wasting energy and items is not the way to go. Prioritize avenging yourself. Check the Revenge tab of the Raids section for any person who doesn’t have a ceasefire in progress. This way you can cherry pick your competition and avoid getting on the radar of other people who use the Revenge function frequently (i.e. making new enemies). Plus with this method you can get the achievement for Revenge raids. Know your limits. The enemy preview screen can be lacking in information besides the number of resources you can plunder and the enemy team leader. If the leader (which is most likely that person’s best character) is someone who looks powerful, consider attacking someone else. Wait it out. You can reroll for another opponent using food, but the 5-minute timer can be passed by running missions in the meantime. You can even stay on the enemy preview screen as the game fetches another enemy as the timer hits 0. Time your upgrades. It’s advisable to queue a big upgrade before you go to sleep/leave. New buildings should be prioritized over lengthy upgrades, especially since building times for low-level structures are at short timers. You only really need one training camp and workshop. Don’t mind full houses. Later in the game you will notice that upgrade fodder comes pretty constantly, so resources you spend trying to get everyone into town would be better spent ranking up your storage and resource facilities. If you’re a The Walking Dead: Road to Survival player and you have some more basic Tips and Tricks for this Guide, feel free to leave a comment below.